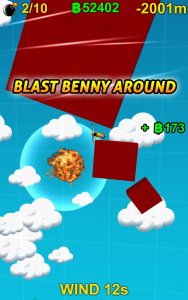 Benny Blast is a super-addictive 3D ragdoll physics game. Place bombs around Benny and blast him the way you want him to go. 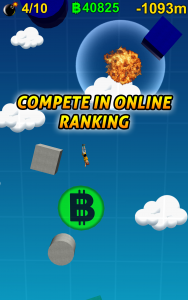 Earn Benny-Coins and use Extra Bombs to crush your highscores! Compete in an online ranking to become the best Benny-Blaster in the world! 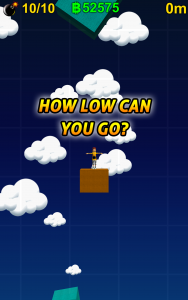 Drop Mode: How low can you go? Fall as low as you can with 10 bombs. 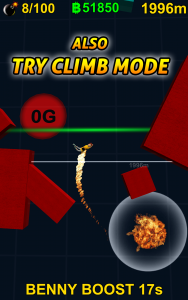 Climb Mode: How high can you fly? Fly as high as you can with 100 bombs. 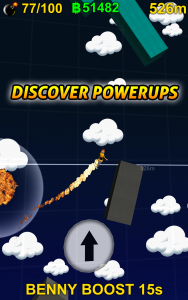 Extra bombs can be activated in both Game Modes in order to crush your HIGHSCORE!